Referred to as the most decisive naval battle of World War I, the Battle of the Falkland Islands gave the allies a much-needed surge of confidence on the seas which was especially important because other areas of the war such as Gallipoli, were not proceeding as hoped. The Battle also represented one of the last important instances of old-style naval warfare, between ships and sailors and their guns alone, without the aid or interference of airplanes, submarines or underwater minefields. 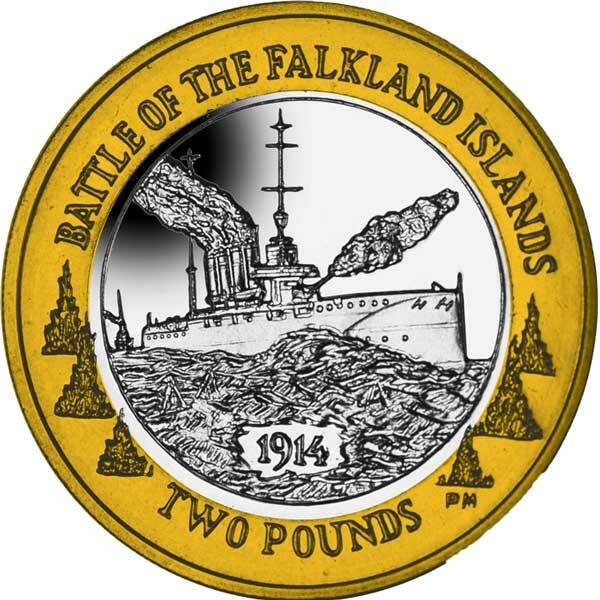 The design on the coin features the fast light cruiser HMS Glasgow, one of the key ships in the battle, surround by bomb water explosions and the date of the battle. 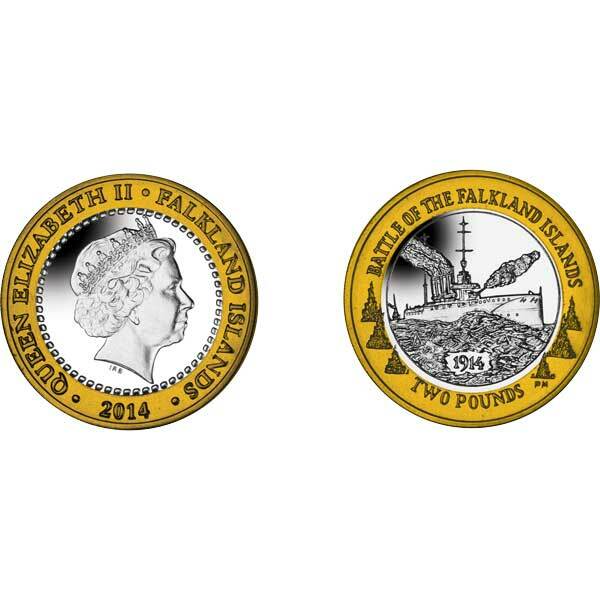 Available in Base metal, the coin features a couped effigy of Her Majesty Queen Elizabeth, Lord of Mann, by Ian Rank-Broadley FRBS. arrived very quickly and I am pleased with the purchase I made. it is delivered. thank you. quickly accurately! Easy to order - quick and accurate delivery - well pleased. I was pleased to receive an email advising that the item was sold out but further stock was expected within 2 weeks. The item was received approximately two weeks later.